Okay, how can a product be a concealer and a foundation you must be thinking? I was just as confused. 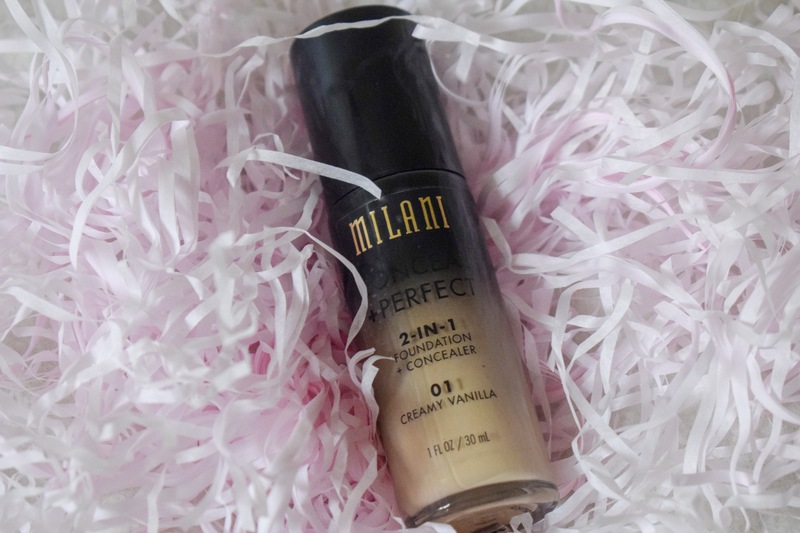 But, I’ve been trying out the Milani Prime Correct Primer recently, and I absolutely love it. Plus- it’s cruelty free! So, I thought why not give the foundation a go?! I’ve got to say, I did buy this primarily as a foundation. The concealer thing was a bit of a novelty, and I thought it could be cool, but I mainly wanted to use this as a foundation. Okay, so my first impressions of this product were pretty good. It’s quite thick in consistency, so I can see how it could be used as a concealer. I used quite a thin layer on my face and it gave me pretty good coverage- the only thing that I would say is that it dries quickly so you’ve gotta work fast! I did try using it as a concealer as well, and I do get it. It’s certainly thick enough and high coverage enough to be used as one, but I personally prefer concealer to brighten. However, for dotting on to cover blemishes- this is fab! I also love the pump-design of the bottle. The pump is actually grooved so that it fits your finger perfectly- it’s the little things! The bottle also looks classy, although it’s a shame about the sticker as it comes away a little making the bottle look a little tacky. The foundation gave me a high-coverage, dewy look and I totally loved it. It blended out really nicely (even if I did have to work rather quickly with it), and it created a lovely base! I feel like this foundation may be perfect for summer when you want a little more coverage but still quite a dewy look! So, the first time that I wore this was actually such a busy day for me! I was out for over 12 hours, it was a super humid day, and my day consisted of a driving lesson, work, a train journey, and even running! I’ve got to say, out of all the day’s that I could have tested this on, this one really pushed it to the limit! However, I was actually supeeeer impressed! At the end of the day, my makeup had actually mostly stayed put. And that was just with the primer and foundation alone, I did not even wear any setting spray. The foundation still looked flawless, and even after a lot of sweating (we all do it), the coverage was still very good! I actually didn’t look to awful at the end of the day either, which is a large improvement for me. This may just be my miracle foundation! I’ve been trialling this foundation for a few weeks now and, I’ve got to say it, it’s a new favourite of mine. The formula is creamy and I really like that in a foundation, but it dries down to create a high-coverage and a pretty good staying-power, too! It makes my skin look incredible, and it has really given me a confidence boost! I don’t tend to use it as a concealer unless I’ve got a really large blemish that I want to cover, but if I do then it provides the coverage amazingly well! Plus, the coverage is (obviously) the exact same colour as my foundation- winning! It doesn’t oxide or leave me orange, even after sweating, and it doesn’t budge all day long. The finish is also gorgeous, and this has quickly become a daily staple in my Summer makeup routine- I love it! It also moisturises my skin pretty well and claims to be water-resistant. I would recommend applying an area at-a-time though due to how quick it dries- just a little tip! Have you ever tried a 2in1? What did you think? Let me know in the comments! Perfect timing because I am desperate for a new foundation but I want to switch it up. Also thanks for the mention about drying time because I so often find it’s not touched on in reviews and then before you know it you have half a face of finished makeup and you’re a mess (lol). This sounds so great and absolutely perfect that it can double as a concealer too! Thanks for sharing lovely lady! I don’t tend to use foundation anymore but I am intrigued of it being two in one, every now and then I like to use concealer to cover a bit of the darker circles etc but this might be a good one to invest in! Slowly but surely I am taking these on board, I feel I’ve progressed more in doing these things and will continue to do so. Thanks for sharing all of this! Wow, this product sounds absolutely fantastic! I am always a little sceptical of products that claim to do more than one thing – the phrase “jack of all trades, master of none” springs to mind! But this sounds like it would do both jobs incredibly well! 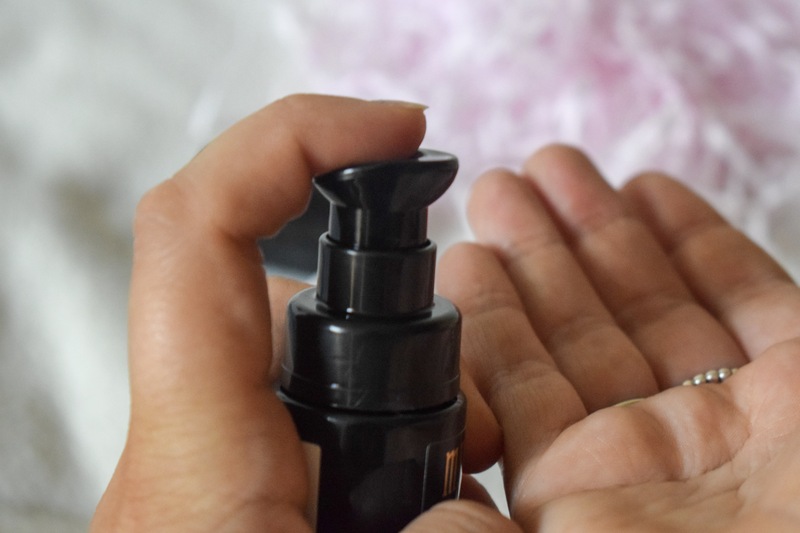 I’m very impressed at the wear of this given the intense day that you had when you tested it out – if it keeps you looking good through all of those activities AND humid weather, I am sold! Thanks for the tip on how quickly it dries, that’s very handy to know! Since this is cruelty free, I’m very tempted to pick up a bottle!